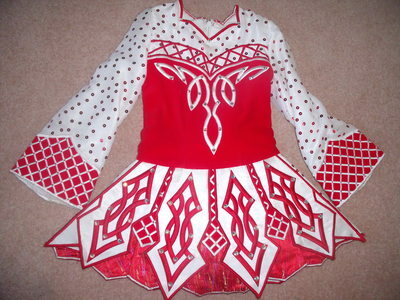 Lovely Sue Breen dress, red velvet bodice with red and white panels. The sleeves are made of white organza covered with red sequins. The underside of the panels and the dress lining is red satin. The dress comes with white satin bloomers, red diamante socks and diamante encrusted red headband. 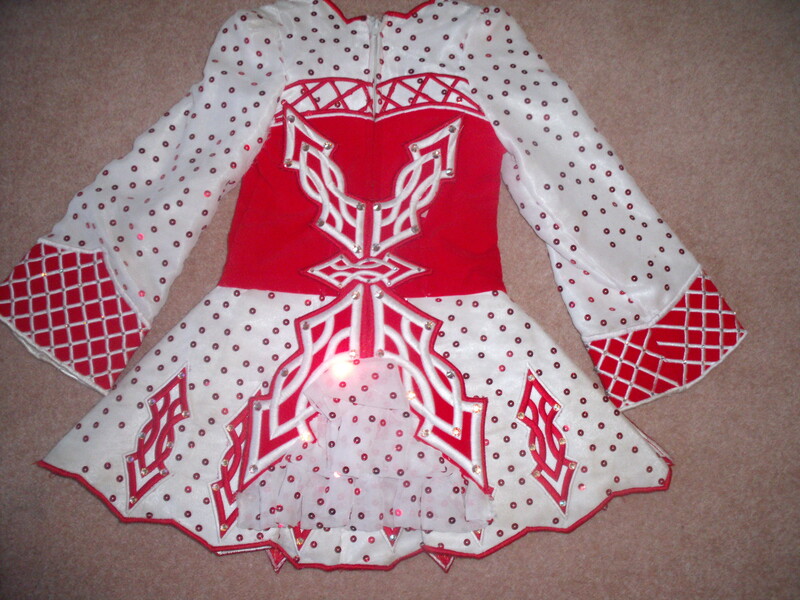 There is also a white with red trim tutu to go under the dress. The dress is encrusted with Swarovski AB crystals which gives extra sparkle and looks stunning on stage. 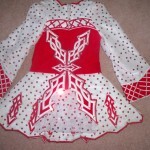 This dress would suit a slim dancer aged 6-8 years and would be ideal as a first solo dress. Comes with tutu which can be used to add length. Asking Price: Â£175. Shipping costs not included. Sale is final.